All of our heating services in Cornelius, NC are complemented by friendly technicians who care about doing the job right the first time. Even though the winters in Cornelius, North Carolina are relatively mild, there are still times in which you need to turn your heater on to stay warm. At Cool Comfort Heating & Air, we’re here to make sure your heating system is always in top working order so that staying comfortable on chilly winter nights is never a problem. Heating repair—When your heater breaks down, who do your call? If your answer wasn’t, “Cool Comfort Heating & Air,” it should be. We’ll respond to your call for help quickly and fix your heating system right away. Heater replacement—Like the other appliances in your home, your heater wasn’t designed to last forever. If you recently purchased a replacement, we can install it for you, so your new system works efficiently and effectively for many years to come. Heating maintenance—This is one of our heating services that shouldn’t be overlooked. When you reach out to us, we’d be more than happy to come and inspect your heating system and determine if anything needs to be fixed before more extensive problems develop. 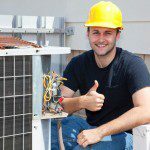 All of our heating services are complemented by friendly technicians who care about doing the job right the first time. To schedule a time for service or to find out why you should leave all of your heating needs up to us, contact us at Cool Comfort Heating & Air today. At Cool Comfort Heating & Air, we provide high-quality heating services in Mooresville, Huntersville, Cornelius, Lake Norman, Lake Norman, Denver, Troutman, and Davidson, North Carolina.